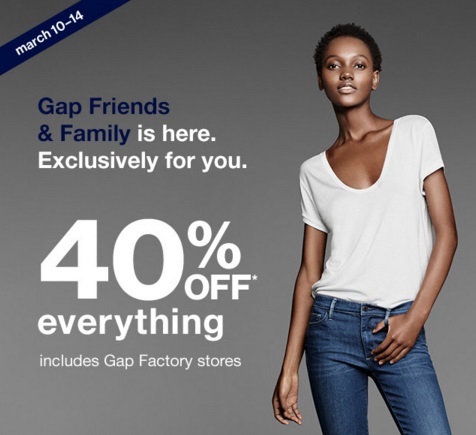 Gap has a Friends & Family Event on now! Save 40% off your entire purchase! Great time to do some spring clothes shopping! Enter the promo code CASALE at checkout to get the discount. Offer is valid at stores and online March 10-14 2016. Click here to shop Gap Canada.